Denver is called colorful city . Denver is the city from where Rocky mountains starts. Denver is very busy these days due to lots of concerts and fairs . Phish concert is going in at Dicks sporting field . It is known as biggest concert of the year in Denver . Hundreds of thousands people are already in Denver for this concert and rest are still arriving from Denver International airport to Downtown Denver hotels . 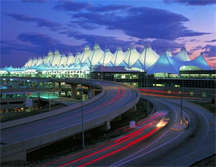 Limousine service Denver is very busy by transporting people from point to point . The other event this weekend going on is The Taste of Colorado ,which is one of the big event of the year . The event is organized every year in Downtown Denver . This is best way to provide entertainment to the people of Denver . There are lots of stalls of different companies with free beer . Limousine service Denver is very busy by transporting people back and forth from taste of Colorado and promise to serve the people as well in future .